Venus, the second closest planet to our sun, is named after the Roman goddess of love and beauty. The cloud-covered world is also one of the brightest natural objects in the night sky. 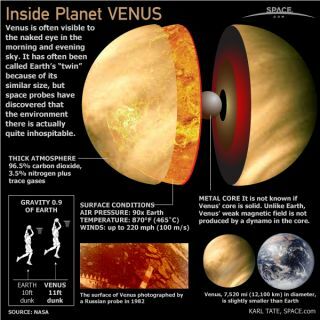 Learn more facts about Venus in the SPACE.com infographic above.